Ok ill try and explain best I can and hopefully you guys can tell me if I'm barking mad or not. Basically just wondering if it would be possible to send physical keyboard commands via a the touch screen to an html5 game or app, in an effort to bypass the pre android 3.x webkits lack of multi touch support in web apps . 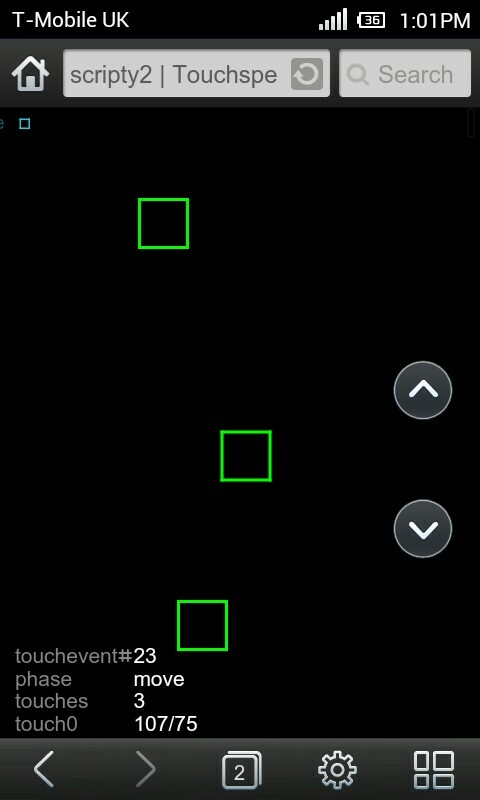 Hmm im not sure but I have seen html5 touch screen games in the past. I remember playing a html5 zelda clone thats had touch controls like most android games. The website it was hosted on seems to be gone now though. Yes, it is possible to create an overlay + IME to convert touch events into keyboard events. BT Controller, for example, does this (that one is separated into two apps, but could be written as a single app). Personally, I don't know how to make the overlay draw on top of the screen when it is in a separate app, but that app I mentioned does it (there is an info overlay that's "always on top" in the client side of the app). However, analog input would require the HTML game to be written to interpret multiple key codes as a single axis. This is what I did in Mupen64Plus AE to handle analog information from USB/BT Joystick Center. I couldn't say about your multitouch question. 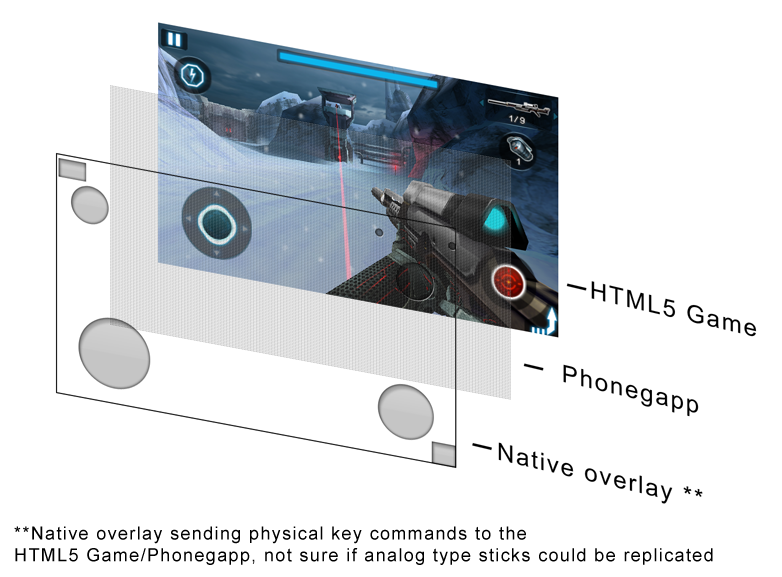 Thanks Guys I've since found that phonegap can recognise some of an android keyboards physical controls so I'll get looking into the overlay scenario hopefully be something I can understand, but good to know theoretically at least its possible.